My son and I started this series with book two. There was nothing on the cover or inside the title page to indicate the place in the series. But that did not matter; we loved the story and have finished most of the other 3 books in a very short time. I know a series of books I am reading with my kids is great when I want to keep reading when we have finished their chapters for the day. It has taken an amazing amount of personal willpower not to read ahead in the books and finish the series without my son and just reread them as reading with him. My youngest has even joined us and read one of the books. These are delightful tales to enthral children of all ages, in our household from 4-45 we all love them. Lucy Pennykettle and her daughter Liz have a secret. Not all the clay statues Lucy makes are what they appear, ever now and again she makes a special Dragon and through some magic, and the ancient dragon languages things always become exciting. In this particular story the town council has decided that in order to save money they will be replacing the broken clock in the library tower with something more modern. This is not something Lucy will stand for. And as Lucy gets more and more worked up Liz gets more and more worries. 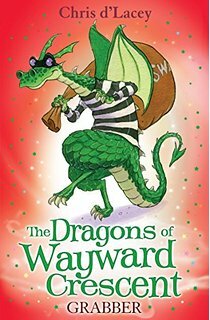 This story has a protest rally, a sit in, a ghost, evil henchmen, and let's not forget dragons; what kids not like about such a wonderful mix? 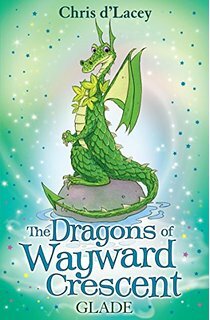 Chris writes wonderful books, they capture the imagination of children and keep the parents interested and engaged. We love these books and as this was our introduction Gauge will always have a special place in our hearts. A wonderful read for child and adult alike! "Thanks for this. There's nothing I like to see more than enthusiastic feedback on these little books. They were a joy to write and I wish there could have been more of them. They came about after I suggested to my UK publisher that I might write a prequel to The Fire Within. We all thought that was a great idea, but I couldn't get the book to work, mainly because I thought there was too much of Liz and Lucy to explore in 50-60,000 words. So instead I suggested writing a series of young readers which would collectively form a prequel. They liked the idea and commissioned the first four. So I wrote the first four - and then my publisher cancelled the series. I still don't really know why. I had mapped out 12 in all. The last would have been called Gadzooks and would have ended with David's arrival in the Crescent. If you read the books from 1 through 4 you will notice a slight thread of continuity - the tidying of the spare room, for instance, and the cat at the end of Grabber, which would be Bonnington. It was all there. I'm still considering writing the others and self-publishing them. But that won't happen until the new Erth Dragons series is finished. 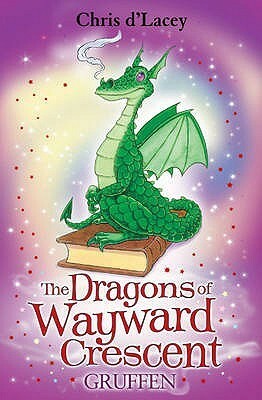 If you and your family are into dragons, by the way, I heartily recommend The Wearle (out in North America next year). All best. Chris d'Lacey. Hrrr!"